The results — as seen in the video above — are pretty darn impressive, but the Ball Camera is definitely not meant for shaky hands. Any spin on the ball when it’s thrown could distort the final image and you certainly wouldn’t want to drop the thing despite its 3D-printed foam padding. The 2-megapixel cameras are adequate but the quality drops as soon as users try to zoom in on distant elements. Besides, it looks a little difficult to fit the thing into a purse, let alone your pocket. 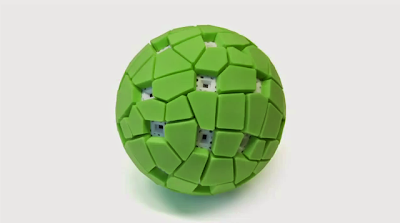 Right now, the Throwable Panoramic Ball Camera is not available to buy, though its creators have it pending a patent. Cool idea, but is it practical? Would you ever buy a camera you could throw?